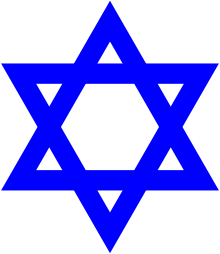 Hiloni (Hebrew: חִלּוֹנִי‎), plural hilonim (Hebrew: חִלּוֹנִים‎), derived from the Hebrew word hulin, meaning "secular" or "mundane," is the term used in Israel for non-religious Jews, some of whom identify with Jewish secularism and secular Jewish culture. As citizens of Israel, hilonim generally speak Hebrew. As Israel defines itself as a Jewish state, many hilonim observe national holidays, such as Israel's Independence Day, and Holocaust Remembrance Day. The concept of modern-day political Zionism, in itself, was founded largely upon secular beliefs and values. Theodor Herzl, founder of the modern Zionist movement, was an assimilated Austrian Jew. At first, most of those immigrating to Palestine were Orthodox Jews who moved due to the holiness of the Land of Israel and their wish to be buried in Jerusalem (due to the belief that the Messiah will resurrect those interred in Jerusalem before the rest of the world). With the onset of numerous pogroms throughout Eastern Europe, some Jews moved to the Holy Land—"made aliyah"—citing security, freedom of religion, and strong Zionist affinities. During the first wave (1882–1903) of Zionist aliyah, and especially during the Second Aliyah (1904–1914) the Jewish population of Ottoman Palestine, consisting mainly of secular or nontraditional Jews, greatly increased. 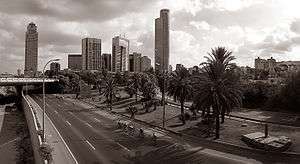 These immigrants and their offspring founded cities such as Tel Aviv and established kibbutzim inspired by socialist theory, which was not necessarily connected to Judaism as a religion or a set of values. As the number of new immigrants increased, so did the proportion of secular Jews. Up to and during the establishment of the State of Israel, the number of religious Jews was relatively minor. In 1987, the breakdown of Jews in Israel was estimated to be 45% secular, 35% "traditional" (not strictly observant, mostly Sephardic), 15% Orthodox (dati) and 5% Haredi (ultra-Orthodox). More recently, Pew Research Center estimates the Israeli Jewish population breakdown in 2015 as 49% hiloni, 29% masorti, 13% dati and 9% haredi. The hilonim of Israel are embroiled in many disagreements with the religious, particularly Haredi, population. The conflicts resonate from the Haredim's unwillingness to serve in the Israel Defense Forces, the Haredi groups that oppose the state of Israel, the Haredi lobby's support of the ban on pork in Israel, and the mandatory closing of stores during the Jewish Sabbath. ↑ "Judaism 101 movements of Judaism". JewFAQ. JewFaq.org. 1 August 2008. ↑ Thomas L. Friedman. "The Israeli Jews: 4 Distinct Camps", The New York Times, 29 June 1987. Accessed 1 August 2008. ↑ "Israel's Religiously Divided Society". Pew Research Center. 8 March 2016.